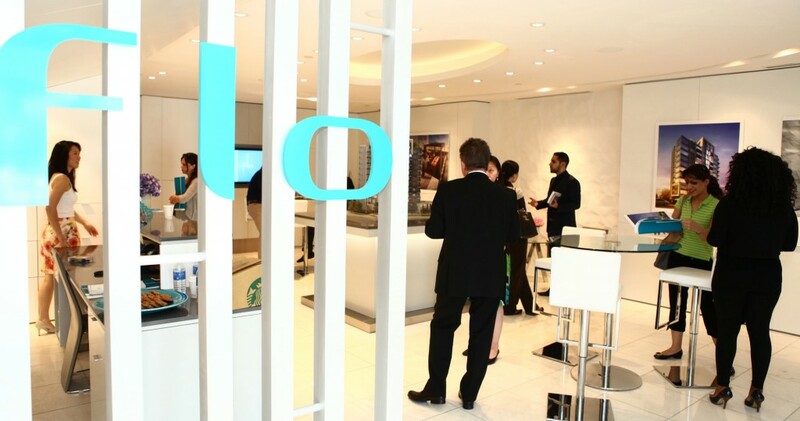 The Flo Condos sales centre was packed to the rafters last weekend as potential purchasers turned up in droves to check out this new North York development. The Devron Developments project is appealing to end users through the hot location, top notch building materials and immaculate interior design by UNION31. Potential purchasers and interested visitors sign in at the Flo sales centre. Admiring one of the sales centre’s touchscreens. 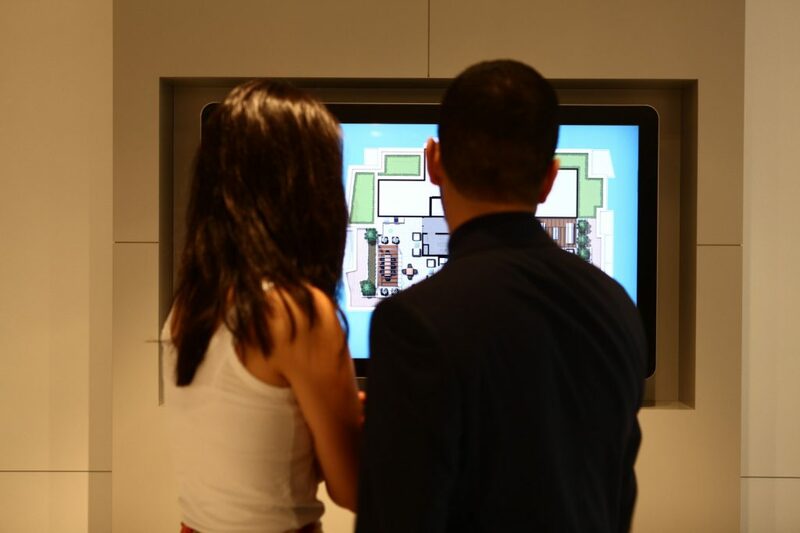 Sales centres just aren’t complete without a touchscreen or two these days. The scale model drew a well-deserved large crowd. Kirkor Architects + Planners handled Flo’s architecture. The kitchen and bathroom model vignettes also drew a crowd. Who wouldn’t want to check out some incredible UNION31 interiors? For more info email info@devrondevelopments.com or visit flocondos.com.